It is with great sadness I inform you that on Thursday, Jan. 31, Chief Warrant Officer Michael L. Kozloski was fatally injured when a crane accident occurred while he was working in the Coast Guard buoy yard in Homer, Alaska. Along with his shipmates, local emergency medical services personnel responded, performed CPR and transported him to South Peninsula Hospital where he was pronounced deceased. Kozloski, assigned as the first lieutenant aboard Coast Guard Cutter Hickory, was 35 years of age and hailed from Mahopac, New York. Kozloski was a loving husband and father, an extraordinary shipmate and an inspirational leader; he leaves behind his wife Brienne and four children. Kozloski steadfastly and faithfully served in our Coast Guard and the United States armed forces for more than 17 years. 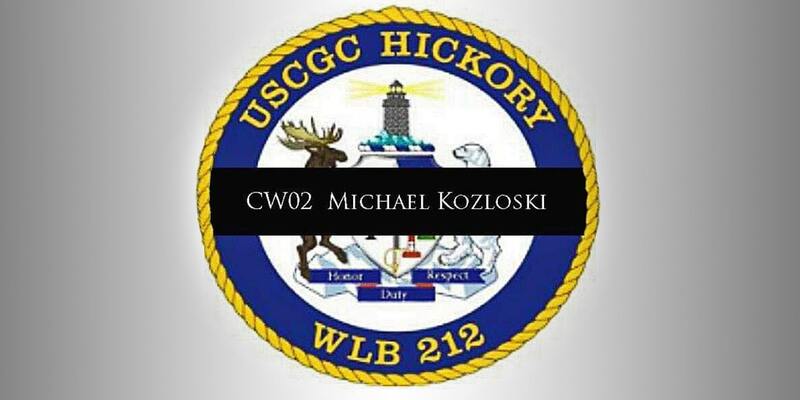 Support to the Kozloski family is our top priority and I ask that you keep them in your thoughts and prayers, as well as our Hickory shipmates. A full and appropriate investigation into this tragic accident is being conducted. I ask that everyone remain focused on their duties and take deliberate steps to ensure you and your shipmates are standing a taut watch and looking out for each other as the loss of our shipmate Kozloski is a stark reminder of the dangerous work Coast Guard men and women perform daily.